It used to be that everyone read the "notorious" Bernard Mandeville (1670-1733). He was a great satirist and come to have a profound impact on economics, ethics and social philosophy. 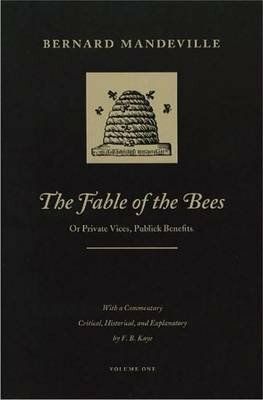 "The Fable of the Bees" begins with a poem and continues with a number of essays and dialogues. It is all tied together by the startling and original idea that "private vices" (self-interest) lead to "public benefits" (the development and operation of society).